Brand new properties right across the river from a 2,500 year old Necropolis? 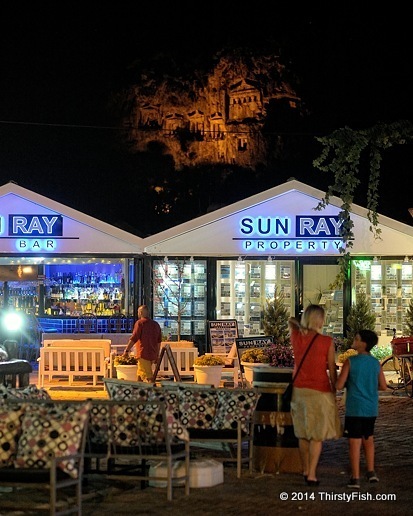 A large number of British residents living in Dalyan don't mind. As talks and negotiations of Accession of Turkey to the European Union continue, most Britons living in Turkey don't like the idea of Turkey joining the EU: "English people are afraid that Turkey may lose its positive character traits, such as hospitality and humanism ... They prefer to live in Turkey because it is not Europeanized, has its own character, favorable climate, natural beauty, warm social interactions, cheaper standards of living and less pressure in daily life".